With temperatures rising and daylight lasting longer, there are plenty of reasons to have some outdoor fun. What better way to ring in spring than with an adventure for you and your pet? It's no secret that an active lifestyle is good for both you and your dog. Outdoor activities can reduce your pet's destructive behaviors such as chewing, digging, or scratching. Being outdoors can also help your dog sleep better, build his confidence, and strengthen his bond with you. Need some ideas to get going? Here are 5 outdoor activities to do with your dog. Start simple. 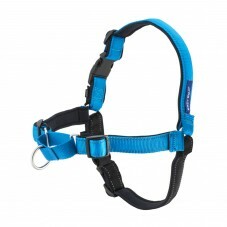 Slip a harness or collar on your dog, grab a leash, and go on a walk around the neighborhood. In addition to helping your pet maintain a healthy weight, you'll stimulate his senses and provide socialization with other pets and people. If you want something more challenging, take your dog hiking at a nearby nature trail or park. 2. Head to the park. Give your dog some freedom at a local dog park. If your dog likes to run and play, a local dog park is a great place to give him space. In addition to vital exercise, your dog will be able to interact with other dogs. In many communities, dog parks have been shown to help decrease behavior problems and decrease the number of animals surrendered to shelters. Remember to be a responsible pet owner while visiting the dog park. Make sure your dog knows basic commands like Come and Sit, always keep an eye on him, and be sure to pick up after him. 3. Test your training with agility. Put your dog's instincts to the test with agility training. Dogs are natural hunters. While they may not have to hunt much further than the food bowl for their dinner, you can help them brush up on their skills of running through and jumping over a variety of obstacles. Boredom can be a big problem for dogs. When dogs have nothing to do, you can be sure they will find something to keep them busy. Some dogs occupy themselves by chewing on your favorite piece of furniture or digging holes in your garden. You can give them a task to perform by going outside and playing fetch. If your dog doesn't know how to play, it's a good chance to bond and teach your dog a new skill. Some dogs seem to have limitless energy. If your energy runs out but your dog still wants to play, try automatic dog toys to keep your dog active. Get in tune with nature on a camping trip with your dog. For many people, camping is a way to get away from the hustle and bustle of everyday life. It's also a good opportunity to introduce your dog to new surroundings. The sights and smells with stimulate his senses. 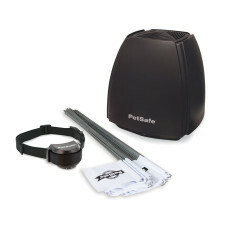 With a portable wireless fence system, you can set up a secure camp that gives your dog freedom to play. No matter what you decide to do outside with your pets this spring and summer, make sure you and your pet have plenty of water to drink. Remember, pets need 1 ounce of water per pound of body weight each day.